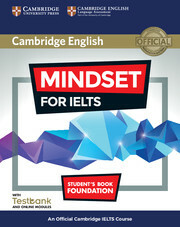 Teaching IELTS can sometimes be challenging, especially if you're new to the test; rolling intakes, mixed-ability classes and high student expectations can be difficult to manage. 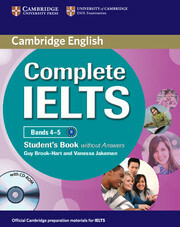 Our materials aim to develop your understanding of the IELTS test and boost your confidence in the classroom. Gain a thorough understanding of IELTS and help your learners approach the test with confidence with our 20-hour How to teach IELTS online course. 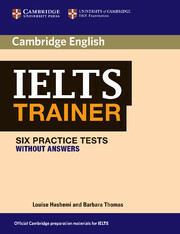 Designed for teachers with at least a B2 level of English. Each unit in the course has interactive exercises to check your understanding, tasks for you to try out in the classroom, and sections for you to review your learning. Certificate of completion - when you complete 80% of the tasks in the course, and provide suitable responses for 75% of the course, you will be eligible for a course completion certificate. 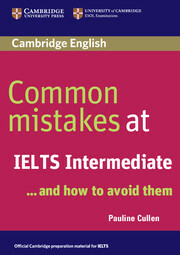 Get tips and advice from Cambridge IELTS experts in a series of webinars, videos and articles. Our authentic practice tests are written by the same team that writes the real test and are perfect for developing exam techniques. But there's much more you can do with practice tests. Our Practice Makes Perfect website has classroom ideas and lesson plans to help you get the most out of practice tests. Watch our experts talk through each of the four skills and share ideas for the classroom. Understand how the IELTS test is scored and what examiners are looking for to help students perfect their exam skills. 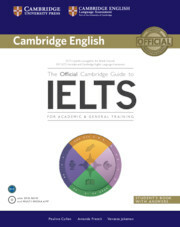 Together, Cambridge University Press and Cambridge Assessment English – the organisation that produces IELTS – bring you Official Cambridge IELTS preparation material. 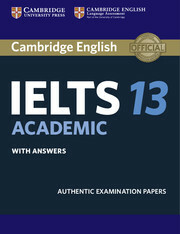 Our authors are experts in the IELTS test and all our material is validated by the team who produce the real test, so you can be confident your students will be fully prepared for test day.